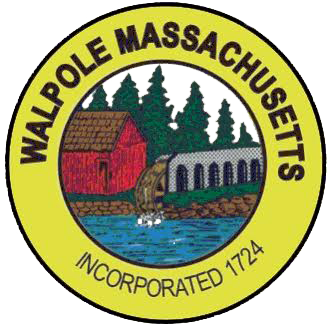 Welcome to the Walpole Power Choice program, a municipal electricity aggregation program. Electricity aggregation is a form of group purchasing in which a city or town uses the bulk purchasing power of the entire community to negotiate the best price possible for everyone for the electricity supply portion of your Eversource electric bill. Please note: The program price can potentially be lower than Eversource’s Basic Service, but savings cannot be guaranteed. The program price is fixed for a long period of time while Eversource’s Basic Service price changes every 6 months for residential and small business customers and every 3 months for large business customers. Future prices are not known. Power Choice Standard: This is the default option. All new Eversource Basic Service customers will be automatically enrolled in Power Choice Standard. Like Eversource Basic Service, Power Choice Standard meets minimum state requirements for integrating renewable energy. Power Choice Green: This option gives you 100% renewable energy, all from renewable energy projects in New England. You may choose this option by calling NextEra Energy at 1-855-639-8095. All new Eversource Basic Service customers will be automatically enrolled in the Walpole Power Choice program unless they choose to opt out. Please call NextEra Energy at 1-855-639-8095 and ask to be enrolled. Be sure to have your Eversource bill in your hand when you call. New Eversource electricity account holders will receive a letter in the mail about the program one to two months after opening the account. You will have 30 days from the mailing date of the letter to opt out of the program before enrollment. If you do not opt out, your account will be automatically enrolled after that 30-day period has completed. If you would prefer to be enrolled sooner, please call please call NextEra Energy at 1-855-639-8095 and ask to be enrolled. Be sure to have your Eversource bill in your hand when you call. You may opt out of the program before being automatically enrolled or any time after enrollment with no penalty. If you choose to opt out, Eversource will continue to be your electricity supplier, and the supplier portion of your electric bill will remain on the Eversource Basic Service rate. You may opt out online or by calling NextEra Energy at 1-855-639-8095.